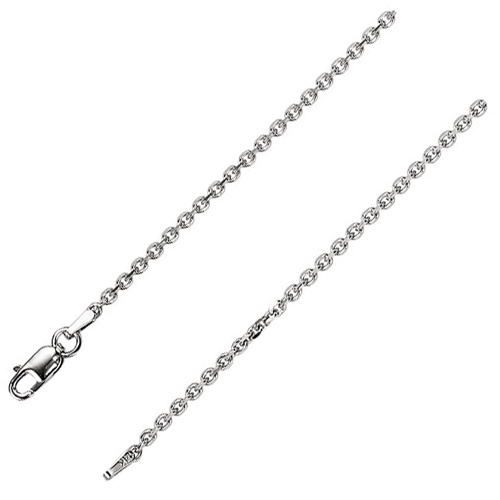 This 20in diamond-cut cable chain is made of polished 14kt white gold. Lobster clasp. Width: 1.75mm. Weighs 4.83 grams. Please note: weight is approximate, actual weight may vary.